Straight up with another ukulele review so quickly after the last. Doing so as this one is putting the cat amongst the pigeons on social media and a few people are keen to see my thoughts. The Schoenhut Oak Mahogany Ukulele. The instrument is part of their 5400 series which also comes in several other designs, and retail for about £35 over here in the UK. 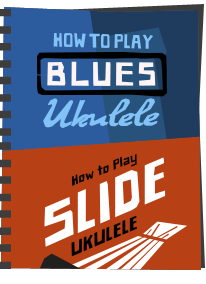 It sure is a striking uke design, but striking to me because it is a direct (and I mean direct) copy of the Flea ukulele designed by the Magic Fluke Company in the USA. The Schoenhut is made in China. Is that cool? I don't think so, but this review will not get into the politics of how this came about. All I will say is that Magic Fluke have announced that they came to an agreement with Schoenhut regarding the design, and it is not for me to speculate further on that - it is their business. One thing is for sure though, there are fans out there who are raving about these and those who are claiming they are the worst ukes on earth. Neither view will affect my own review, but I mention it as it seems to be a hot topic at the moment. It is worth saying though that some people are reporting no quality problems, and some are reporting a ton of them. As a final point before we get into the body of the review, Schoenhut are marketing this as a 'toy' and not an instrument. I will give you my thoughts on that towards the end of this piece, but it is an interesting and important thing to note. So from a visual perspective it is pretty much identical to the Flea. The body is a single piece of polycarbonate onto which a laminate wood top is fitted to make the sound chamber. The plastic seems to have a slightly different feel to the Flea original so I don't know if it is as strong as the Flea (a uke I have dropped from a great height and is still going strong). It was also quite scuffed out of the box. The top though is VERY different. The Flea uses a laminate wood made from Australian Hoop Pine and is extremely thin. The Schoenhut on the other hand uses an excessively thick top. While we are here, I have no idea what 'Oak Mahogany' is, and think they couldn't make up their minds. No matter though because that bright orange grain pattern isn't wood anyway, the top is finished with a sticker or transfer of a wood design, over which the sound hole decoration is applied in black. The whole top is overly glossy to me. I quite like the sound hole rosette, but would have preferred them to have left the large name logo off the front. It is also overly glossy unlike the Flea. The bridge is a slotted type and looks very similar to the Flea. It is however lifting off the soundboard and I therefore have no idea on how long this will last. Looks precarious to me. The neck is wooden like the Flea and very similar in shape. It is however finished in an overly thick gloss for my liking. It is also a wider shape when we reach the headstock, with the Flea having a far narrower taper. This is an issue to me as I found that when playing chords that use a lot of the first fret space, my hand is bumping into the headstock. It feels cramped, particularly evident on a chord like F minor. The fingerboard is made of plastic and glued on to the wooden neck, just like the Flea, but again looks like a different sort of plastic. These moulded necks have the advantage of being super accurate in intonation, also helped by the use of a zero fret. No complaints in this regard, the Schoenhut is indeed accurate all down the neck. But a word about that material. One complaint people have levelled at Flea is the fact that their plastic frets can wear down over time. Mine is about five years old, gets played a LOT and is starting to show it. Sure, it can be replaced, but its a hassle. I took a small file and pressed it onto one of the frets on the Flea that I don't play too much and it left no mark. I repeated this on the Schoenhut and it left a noticeable dent in the fret. This suggests to me that the Schoenhut fingerboard will not last too long at all. Fret markers are painted on in silver at the 5th, 7th and 12th, just like the Flea. The slightest touch of a nail on the Schoenhut markers though scratches them off as you may be able to see in the pictures. Tuning is provided by friction tuners of an extremely cheap quality. Plastic on plastic friction, and they were incredibly sticky and extremely difficult to adjust to anything useable. Worse still one of the tuner buttons had sheared internally and turning it would not turn the post. That is terrible quality control. I fitted new pegs I had lying around just so I could play it and write this review. For the record the originals were also black, with silver, not gold posts. I have read some suggest they are Gotoh pegs - the certainly are not! Finishing the deal are black, cheap nylon strings which were absolutely hopeless so I immediately re strung this with Worth Flourocarbons. And there we have it. Very similar looks, but not quite an exact match to the Flea, let down in my opinion by the quality of materials (top, bridge, fingerboard and tuners) for my liking. But for such a saving on the Flea is that forgivable? I think it depends who the player is. For a beginner or a child, then I say no (marketed as a toy or not). If you are already a player and fancies a project or a bit of fun for £35, then maybe. But this is only half the picture, how does it play? Play on the neck feels very similar to the Flea, but is let down by that chunky headstock on the lower open chords and the feel of the gloss on the neck. Action and setup is identical to the Flea, but no surprises there as that is what the design is intended to do. Sound wise, it really isn't too bad at all. I think it has similar volume to the Flea, but lacks some of the more complex harmonics of its rival. It has a thinner and boxier sound, but really, not as bad as I thought it would be. In fact, some people may not actually notice the difference. In short, it took some effort to get there, but it sounds surprisingly good. So perhaps a review of two halves this one? Well, not quite. The quality control is a major bugbear for me, and I have no idea how long that fingerboard or bridge are going to last. Nobody wants those sort of issues. And in coming to a conclusion on it, I have to return to the issue of who is buying it. Sure, if you know what you are doing, and prepared to deal with the pitfalls, it is a bit of a bargain (even though that £35 will become about £60 when you have bought new tuners and strings!). But for beginners and children, I cannot recommend this as I am not convinced you will get one without issues. Perhaps I was just totally unlucky, but I don't think so for one very simple reason. £35 does not buy a lot of anything these days and it was unlikely to be a miracle for that price. And that brings me on to perhaps my biggest issue with it - the concept of it being a 'toy'. 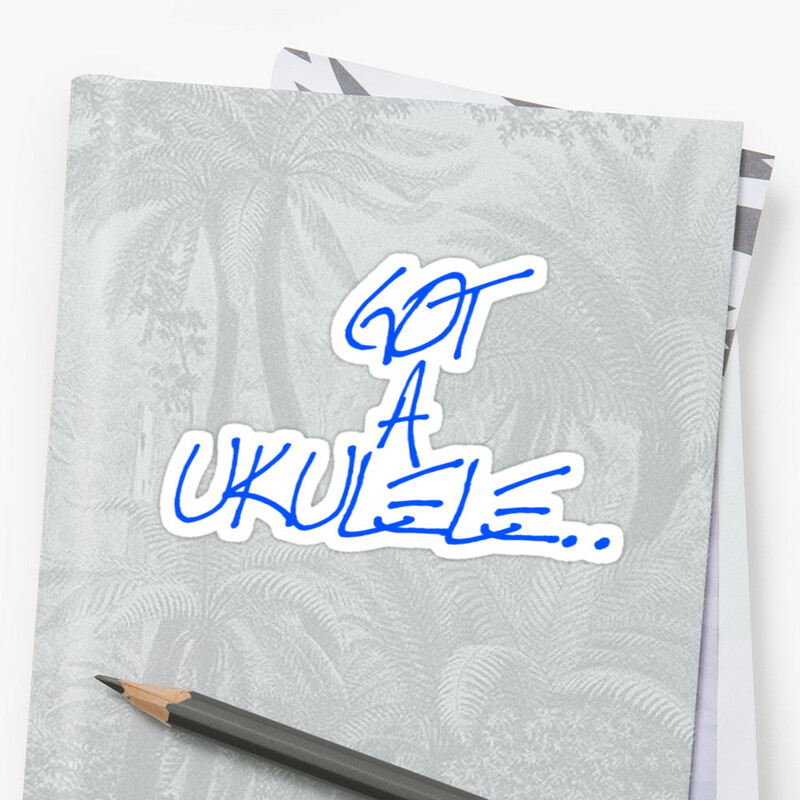 I personally don't like ukes being touted as toys in any case as I think it just devalues them and reinforces the stereotype as 'joke instrument'. But are they really toys? They are priced at a level that puts them a little more expensive than the likes of a Makala Dolphin, and more than the Korala Explore, both of which I think are great. If its a toy, why not cheaper still? Is the toy reference a handy get out clause. Baz from Got A Ukulele thinks its bad, so what - it's just a toy!!! And besides, if it is a toy, then is that an excuse for it to be badly made? Toy does not have to mean 'crap'. 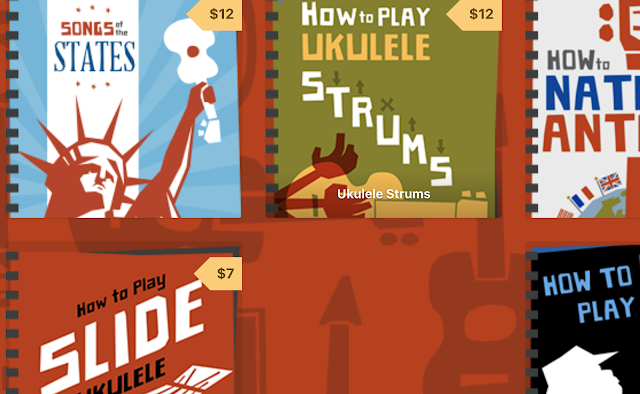 Mainly though if you want to buy your child a ukulele, then buy them a ukulele not a toy. Something like the Dolphin or the Korala are cheaper, and in my experience more reliable. 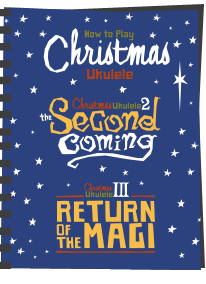 Better still, talk to your child and get them something like a Lanikai LU11 which is about the same price as this uke when you take into account string cost and tuner price. So do I recommend it. Well if you want a project, then knock yourself out, but if you are a beginner or buying for a child I would recommend caution. Does sound ok though. Intriguing! STOP PRESS!!! Before you take account of the scores below - I have now given this more play, and my fears about the fretboard were proved true. This will soon become an unplayable uke. AVOID! Very close in sound. My Schonhut is quieter, thinner and vastly inferior to my Flea, but yours is better. The fret markers on my Fluke are not painted on , they are little metal buttons slightly raised above the fret board. 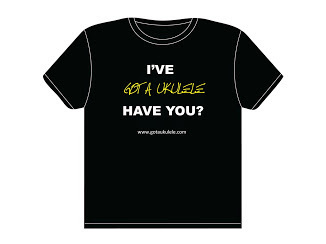 Your review says both your Flea and the test uke have painted markers, that could be a cost cutting on the tester but are you sure your Flea has painted markers? Hi Gordon. Yes - the markers on my Flea are raised too, but they are not metal and have started to fade. It is paint. The Fluke I own, which is a little older than my Flea have worn off completely now and all that is left are the raised plastic discs in black! 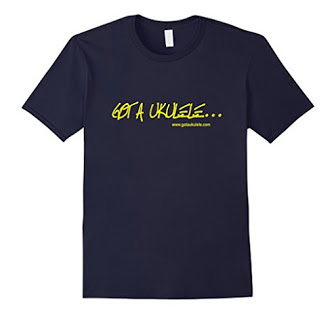 A couple of the designs are currently less that £22 delivered on Amazon uk, at which price if we're lucky, they could drive the cheapo Mahalo and Lazy (just two examples that came to mind) out of the market. 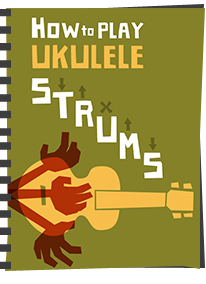 The Schoenrunt may then serve a useful purpose: intonating well, lacking volume, and wearing out after a few months - sounds like a perfect first uke for kids! Good review - very similar to what I've found with mine regarding build, neck 'cramping' and tuners. I picked it up off of craigslist for $20 so I'm ok with the problems at that price. And I've had a flea and fluke to compare it to. The lack of tapering on the neck is an issue for me, makes playing it a little troublesome. We also have a dolphin in the house and I feel like that is a much better instrument. Who actually retails this in the UK? I can't find any shops that carry it. Thnx, and on sale for £19,01 now, very tempting. "I have no idea what 'Oak Mahogany' is, and think they couldn't make up their minds." I wonder if this is one of those things where they re-brand something that's unpopular (or simply little-known) to make it appeal more to consumers, like how the Chinese Gooseberry became the Kiwi Fruit? .."Albanian Turdwood.." I'm still chuckling over that one..